Very late last year, UIG Entertainment released a business simulator, Industry Giant II, on PlayStation 4. 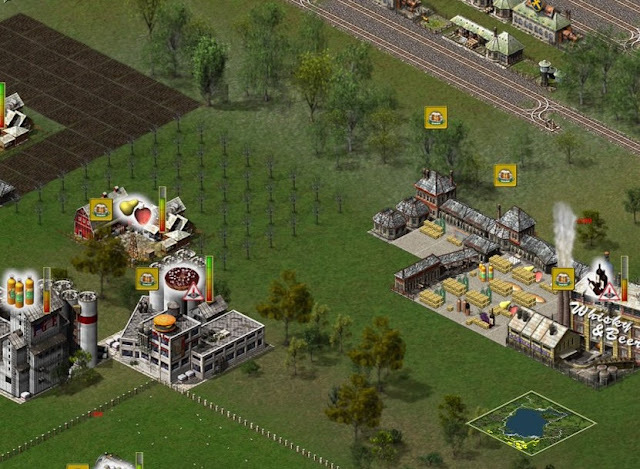 A port of an older "tycoon" game, the focus of this one is that you're building up a manufacturing and logistics business; creating products from what you're able to farm or mine, and then transporting it to cities (because people don't want to live near dirty factories and mines, see?). As I noted in my review, the game itself is actually quite exceptional, and deep. You've got an awful lot of different things to consider as you play, and efficiency is important, just as it is in the real world. Throw in competition from other AI-controlled businesses, and having a solid and sustainable business is not an easy task by any means. But the game was let down by a catastrophic bug that caused save games to crash, rather than load. Obviously, after spending five or six hours in a single day building up your business, to have it crash the next time you tried to play was unforgivable, especially when it happened almost every time. I'm pleased to announced that the game has recently been patched, and now, as far as I can tell having tested on both existing and new save games, there don't seem to be crashes any longer. Because of this, I now wholeheartedly recommend that people get stuck into this game. Sadly, Metacritic's rules mean I can't update the score, and so, even though I'd now rate the game a solid 4/5, I can only leave the original score on my review. As disappointing as it is, this is why games need to be in as playable and tested state as possible prior to release. What I will do is link to this article from the original review. Hopefully people who are interested in the game now see that I effectively have no criticisms of it any longer.